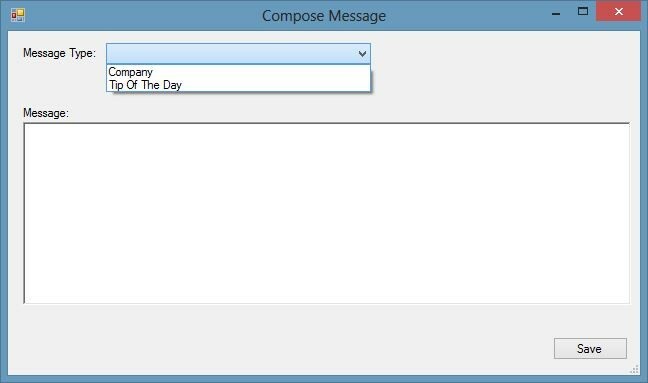 When you log into Office, go to the databases option on the left side of the screen and select the Tips/Messages database. 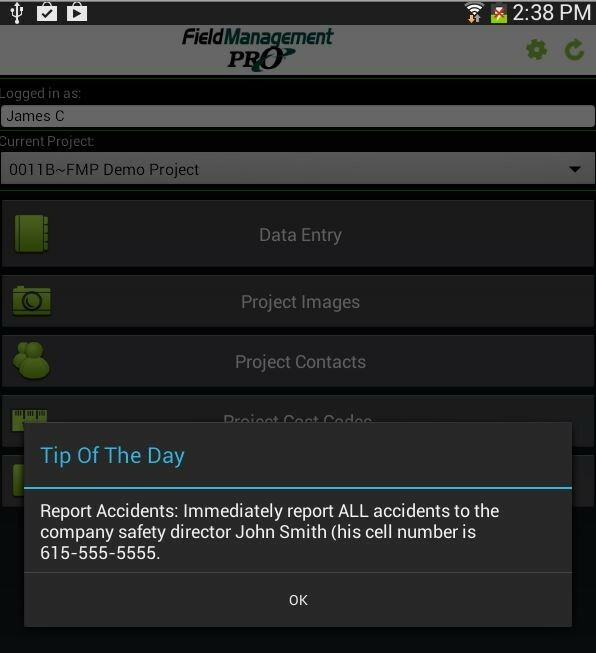 Select the green plus button shown below to create a new tip of the day or company message. 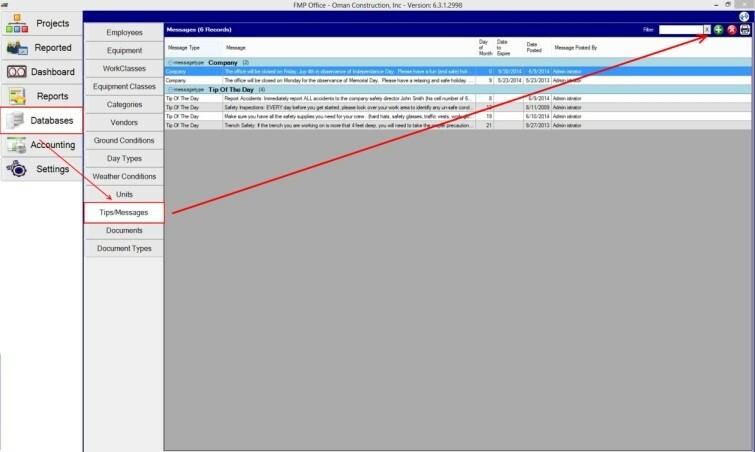 Company message: Will display each time a user logs into their program or reloads all data. Once created, you will set an expiration date and it will continue to display until that day. Tip of the day: Will display only once for the day of the month chosen. It will continue to display only for that day until it’s deleted. Check out the created message on the Mobile App below. 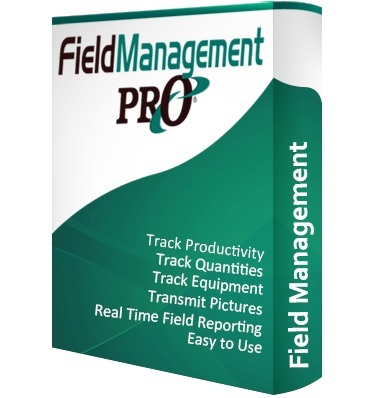 Added Meter readings and notes on the Equipment Master time card report. Added full-screen button to the master time card. Added Units per Manhour and Total Manhours to the Production report. Added the ability to re-direct install directory from Documents folder. Removed the ability for Foreman group to log into Office. Added import spreadsheet option to the project list screen for importing multiple projects at once. Added the ability to copy time cards from other projects. 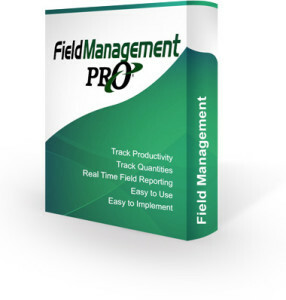 New Microsoft reporting engine for Field. Expanded image description field to 255 characters. Added Company Tips and Massages. Added “About” screen to display our company and contact information. Added Company Tips and Messages. Added the ability to enter ending meter reading.